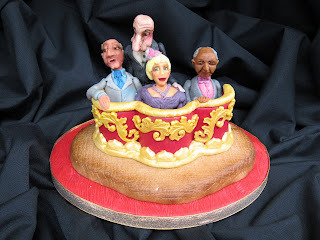 I had a wedding cake in the shape of a Battleship deliverable on Friday morning and a sculpted novelty birthday cake at the same time and on Saturday it was the Region 8 BSG Brighton exhibition. So of course Last Minuet Nelly had not finished her competition pieces. Luckily my branch entry (I am a member with Tunbridge Wells BSG) was complete. 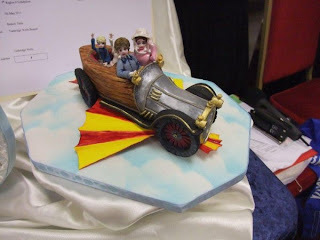 Chitty Chitty Bang Bang – our theme was childrens' books that had been made into films. 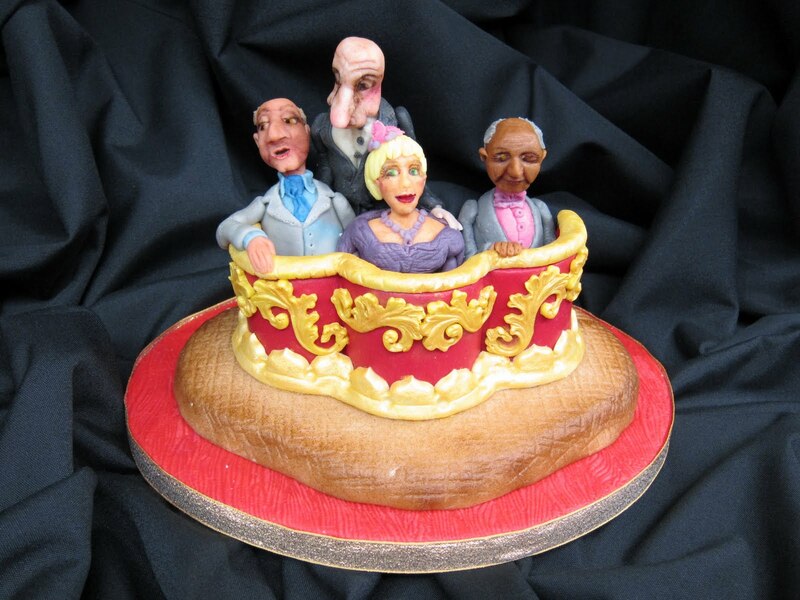 He was a little sculpted cake on a 10 inch board. We won silver for the whole table so were very pleased. My competition entries did not fair quite so well – I tried modelling in marzipan for the first time and although pleased with my results, he was only finished in the wee small hours so I had inserted a cocktail stick to make his head secure while travelling and in my rush to get down to Brighton and help with the set up, I forgot to swap the non-edible cocktail stick out for some dry spaghetti and the model was disqualified. 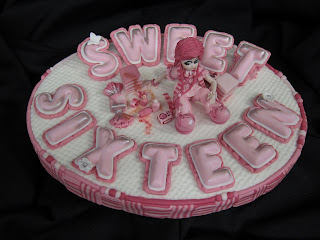 My entry for a cake topper - Sweet Sixteen - got a highly commended and some nice feedback from the judges although I admit I had hoped for more. So the moral of the story is – don’t leave it all till the last minute.